Combine all the ingredients in a bowl. Chilll for several hours. 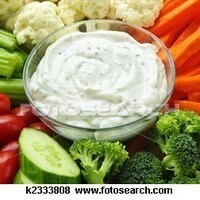 Serve as a dip with freshly cut vegetables, on a baked potato, with toasted pita bread triangles, crackers, tortilla chips.